Portland Oregon native, Bridget Benton, received her Masters of Science degree in Creativity and Change Leadership from the International Center for Studies in Creativity at the State University of New York. She moved to Asheville in late 2015. 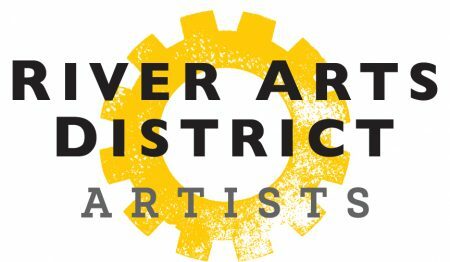 After searching for the right spot, she found her place in the River Arts District a year and a half later at the collective 310Art. Benton is not only an artist but a creative expert. Bridget leads workshops, one on one classes and creative coaching to help you fully express your creative side. 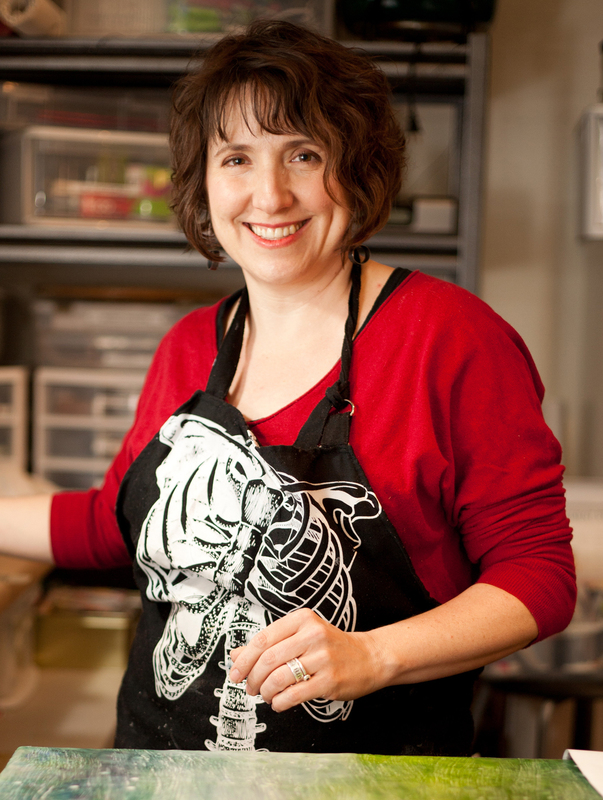 She is also the author of The Award-Winning Workshop in a Book The Creative Conversation: ArtMaking as Playful Prayer. 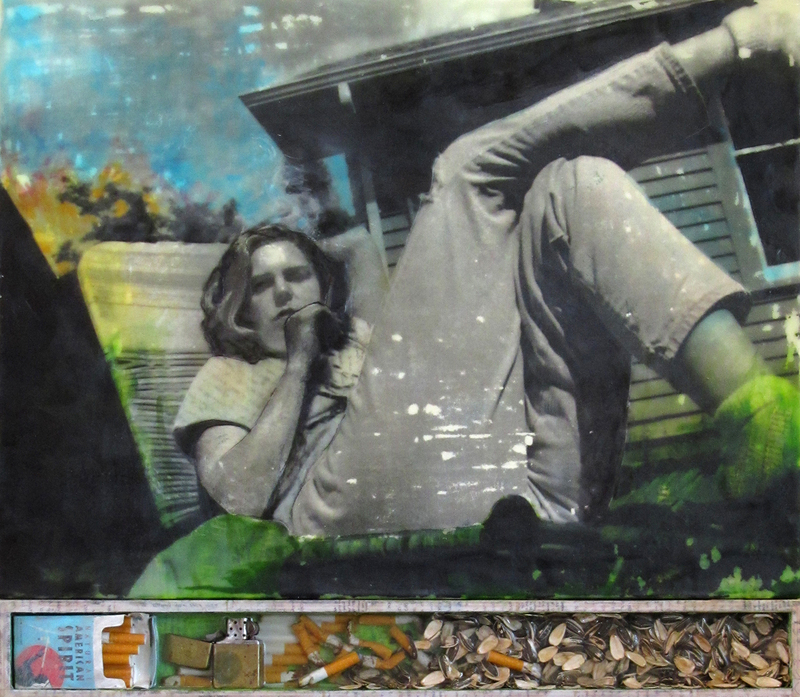 Best known for her encaustic paintings that feature many layers of collage and wax, Benton’s works evoke elements of abstract patterns, while exploring story and inspiration for all. B: Looking back, the first time I really saw something the way an artist would I was about 5 – I was playing with crayons, and there were three that, when I held them together, just vibrated! Lime green, tangerine, and salmon pink – the colors were so amazing together it was like something lit up in my brain. I remember rushing to show my mom, who was not particularly impressed! From wax crayons in 1975, I moved to wax-based resist – batik – in 1990, and then wax paint in 2006. 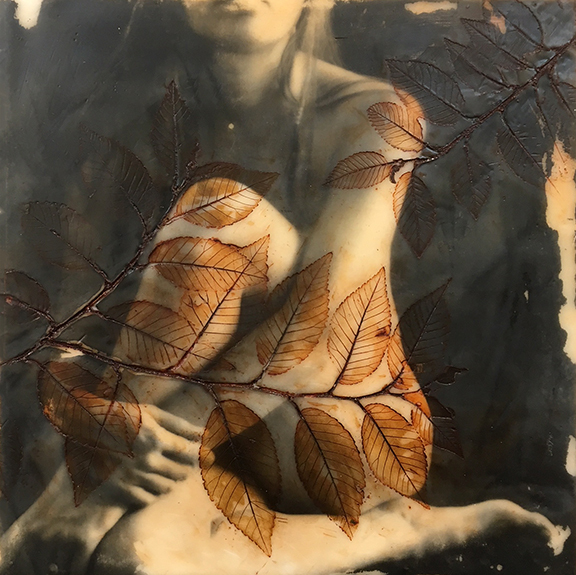 I kept hearing about beeswax collage, took a class, and got totally hooked on encaustic – a wax-based painting medium. B: The main way my practice has changed is that I’m way more consistent. I spend a lot more time just working in my studio than I did in my 30’s. What’s more interesting to me are the ways that my practice has stayed the same – I work in layers, I always have multiple pieces going at once, and my work tends to have visual and symbolic elements that have stayed the same over 30 years – hands, hearts, veins, roads, roots . . .
B: I tend to identify most with art that is made out of an emotional or spiritual need – everything from illuminated manuscripts to contemporary visionary art. B: Frida Kahlo is probably one of the artists whose work and life inspired me the most – along with Joseph Cornell, Romare Bearden, Georgia O’Keefe, Edward Weston, and Egon Scheile. B: I love working, and what most often pulls me into the studio is an interest in the materials or curiosity around the process of making. What will happen if I print this leaf? Add this color? Combine these two images? Often what inspires an individual piece or a series are photos of someone I have an emotional connection to, or some other image that resonates with me strongly. I’ll work with the photos I have – blowing them up, cropping them, combining them with other imagery, layering them under wax – to tell a kind of intuitive story. B: My work is a lot about connection – finding a place or person that feels like home, somewhere we belong. Memory is also a significant element – how do we remember the events and moments that are important to us – moments that are inherently fleeting. Most of my work tells a kind of non-linear story, but every person who looks at it comes up with a different narrative, based on their own experiences. B: The work is finished when it sings. B: Coffee is probably my most important artist’s tool – followed by blue painter’s tape. B: White Duck Taco is a favorite spot – and I’m very excited about Pleb, the new wine bar that’s opening just down the street from me! B: When I’m not in the studio, I’m a big fan of hiking, traveling, water parks, trying new restaurants, and reading science fiction and fantasy – as well as spending time with my husband and two step-daughters.